Good morning, Friends! Well it's the start of the two week spring break for our kiddos around here! So Nick is happily sleeping in! The weather looks to be really nice, too! I am so bummed that both my Kansas teams lost yesterday! Soooo close!! That last second shot just wouldn't fall for us. I was so nervous for WSU's game that I had to make myself busy so I went and created cards while the game was going on. I could hear the tv and every once in a while I would peek to see what was going on. What a heartbreaker that one was. But they still are winners to me! a 35-0 run for the season! Who could be upset about that? Looking forward to the next big upset!! 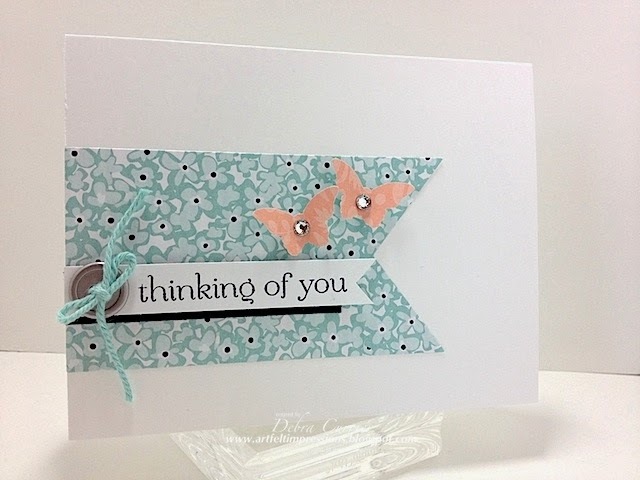 My inspiration for my cards yesterday came from looking through past Stampin' Up! magazines. And this was one of them! Super Simple! 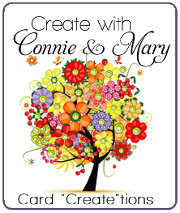 Before I sign off I want to tell you about the new edition of Create with Connie and Mary Card "Create"tions! I am so excited to be a designer for this edition! Here is some more information. The Create with Connie and Mary Card "Create"tions PREVIEW starts March 25 and the session runs from March 30 thru April 19! I hope you will join us for this very fun edition! You can sign up at the Create with Connie and Mary website for only $19.95!! I hope to see you there!